Some canopic jars had simple lids. 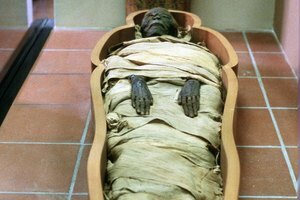 People in ancient Egypt placed a lot of value on preserving the human body posthumously, and mummification was the major process to accomplish this. The goal of preserving the body was to ensure the deceased's passage into the afterlife. Before individuals were mummified, their internal organs were carefully extracted and saved in receptacles known as canopic jars. Internal organ extraction was an important element of the mummification procedure. Since these organs were filled with fluid, they could lead to the rapid decay of the deceased body along with the presence of a highly pungent odor. Ancient Egyptians believed that removing and saving the organs in jars could prevent these unpleasant scenarios from occurring. 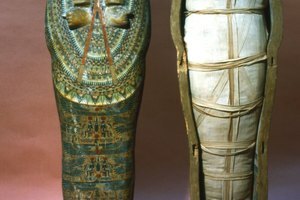 The jars containing the internal organs were buried in the tomb close to the body of the deceased. Organs that were commonly placed inside canopic jars included the stomach, lungs, intestines and liver. The heart conspicuously remained intact within the body, however. 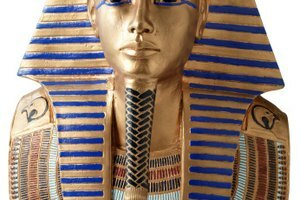 Ancient Egyptians believed that keeping the heart in the body was necessary in order for the deceased to "prove" his goodness in the afterlife. The different types of organs were all saved in four separate jars, each of which was labeled with its own deity, the sons of the god Horus. These deities were portrayed in four forms: baboon, human, falcon and jackal. The canopic jars were also frequently marked with the deities' names, specifically Hapy, Imset, Qebehsenuf and Duamutef. Hapy safeguarded the lungs; Imset, the liver. Qebehsenuef and Duamutef looked after the intestines and stomach respectively. Ancient Egyptians carefully saved and defended their organs inside these jars because they believed they were necessary for rebirth. If a person who passed away lacked his internal organs, they thought that it would stop his soul from being able to live on in the afterlife. 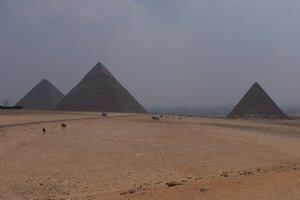 The Egyptians believed that the body would be restored to its previous form in the afterlife, thus requiring all of its organs. Canopic jars weren't placed freely inside tombs. All four jars were housed inside special canopic chests that were constructed of smooth stone. These chests were at times sculpted directly from the tomb's walls. The heads of the protective deities served as the primary artwork on canopic jars, functioning as their lids. The earliest versions of canopic jars had extremely simple, design-free lids, however. Egyptian artisans made the jars using materials that included calcite, bronze, limestone, pottery, gold, alabaster, stone and wood. The wealth of the deceased individual determined the materials used. The era of canopic jars didn't last forever. 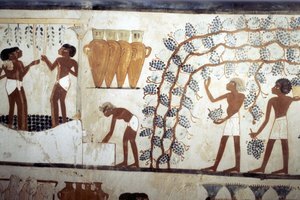 Use of the jars came to an end during Egypt's 21st dynasty, sometime between 1,070 and 945 B.C. 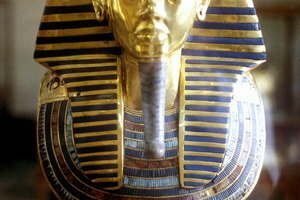 At that point, Egyptians made some changes to mummification that involved putting the organs that had been removed back in the bodies for burial. Millburn, Naomi. "What Are the Jars That Held Organs in Ancient Egypt?" 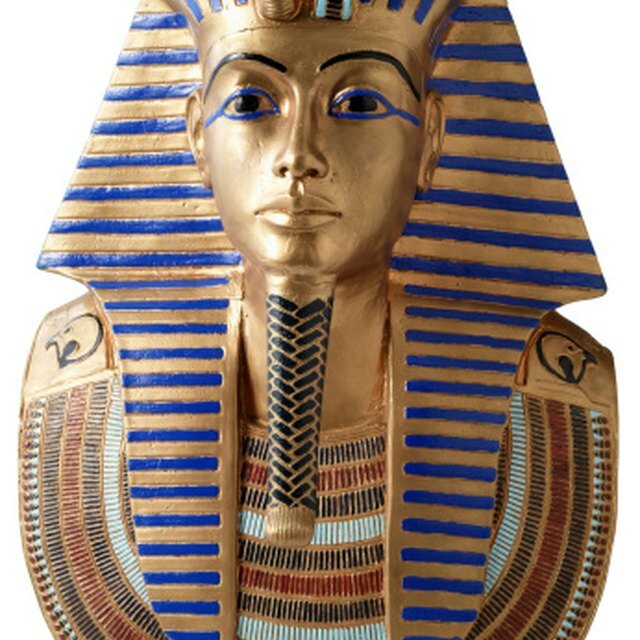 Synonym, https://classroom.synonym.com/jars-held-organs-ancient-egypt-7370.html. Accessed 18 April 2019.